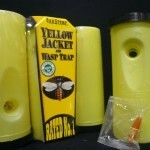 PRODUCT DESCRIPTION: Yellowjacket Trap which features two routes of entry. 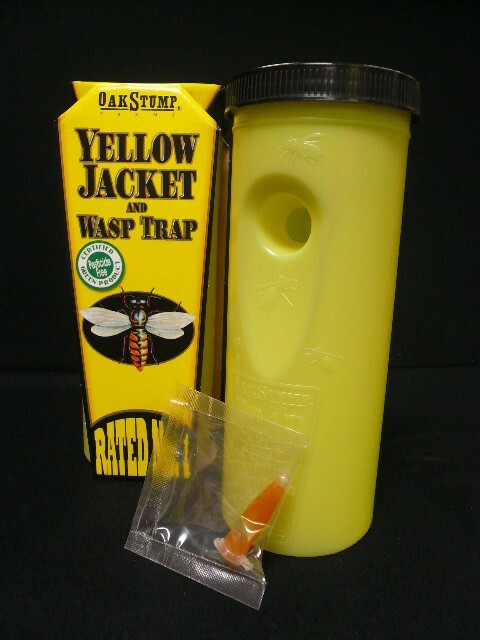 The trap is then baited with either a sweet or protein bait and foraging scout yellowjackets will enter and drown. You can also bait it with both types of attractants which is strongly suggested. We recommend our Loganberry and Salmon paste but other attractants can be used. The trap will then be filled half way with water and entering yellowjackets will not be able to escape and will then drown when they get tired of flying and land in the mixture. Though this will kill off foraging scouts that enter the trap, it's important to understand the use of the trap will not kill the nest. 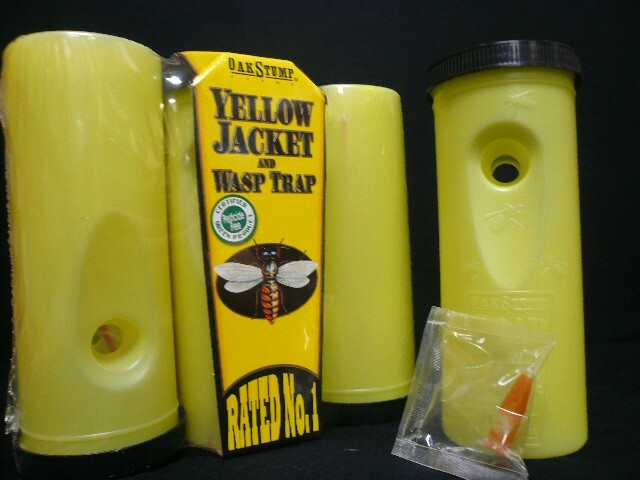 In fact, most nests will continue to send scouts around so don't expect all yellowjacket activity to cease just from setting up a trap or two. Killing off the nest is the only way to stop all activity and that must be done following one of the treatment methods our on line article details. WHERE TO USE IT: Outside where yellowjacket activity is seen. RATE OF APPLICATION: Use one trap for every 1/4 acre or 4 traps per acre.